The next time you need a little Audrey Hepburn fix, just look at your refrigerator! This isn't your run-of-the-mill magnet. It's wooden, it's laser die cut, and it's so chunky! 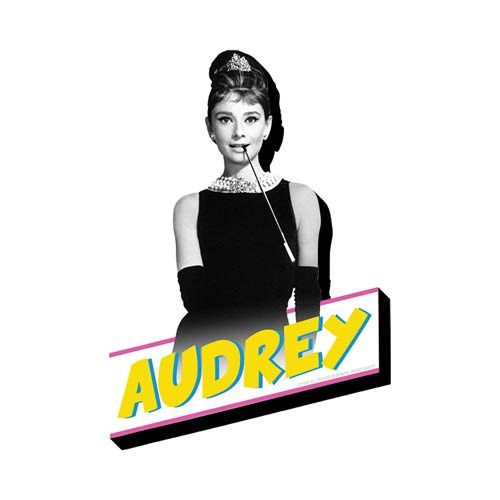 Measuring about 4-inches tall x 3-inches wide, the Audrey Hepburn Breakfast at Tiffany's Funky Chunky Magnet is a fun way to fill up that empty spot on your fridge… if there is one! Ages 13 and up.